“There are two things everyone should do in their life. First travel alone to any part of the world and second, attend a live concert.” –Sukesh Pandian- 2017. For those wondering who this Sukesh Pandian guy is, well he is no big shot or anyone famous. I am Sukesh Pandian, the writer of this article. Nevertheless, I strongly believe that everyone should do these two things at least once in their life time or more if you can. That’s because the experience you attain from it is really life changing and you will thank me later for it. I’ve been travelling alone many times before but I have never attended a life concert before. My goal was that the first ever concert I attend must be an A.R. Rahman concert but all that changed when I had the opportunity to attend MILFF 2017. I have to thank all my lucky stars for grabbing this opportunity to attend the event. Malaysian Independent Live Fusion Festival 2017 or better known as MILFF 2017 took place on the 9th September 2017 at KWC Fashion Mall and was organized by Mojo Projects. After a successful outing in 2016, Mojo Projects brought MILFF 2017 for the second time. For music lovers, the organizers assembled huge star cast to perform but for a music illiterate like me, only Vijay Prakash & Sid Sriram was the pulling factor for me and wasn’t aware much about rest of the cast. Huge credit for Mojo Projects first and foremost for picking a location like KWC Fashion Mall because of its indoor setting and ample of car parking space. But most of all thank you for starting the show right on time. You did not take your audience for granted and I truly appreciated that from the organizers. who are wondering what Jatayu means, the name Jatayu was inspired from the Indian epic Ramayana. The moment they started playing their music, the crowd was awed by it. Such brilliant and beautiful Carnatic fusion music gave me goosebumps from the start. Then the ever amazing Sooraj Santosh joined in to perform with Jatayu and there was a treat for the local fans. 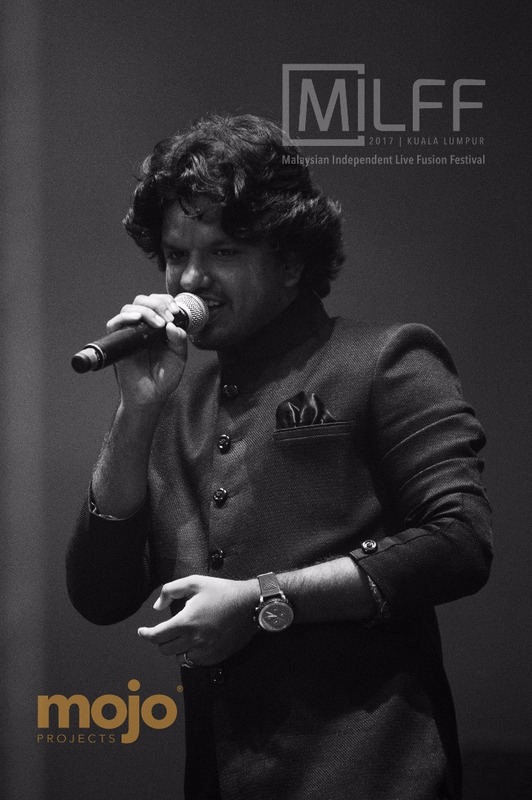 One of our artists, Dan Shiv had the luxury of performing together with Sooraj Santosh & Jatayu. The crowd loved them and showed their appreciation with loud cheers and claps. By the time Jatayu ended their gig, I have already became a fan of their music. It was just that beautiful. It was perhaps the fastest one hour of my life. They left the stage taking away thunderous cheers from the crowd. Next gig was conducted by Aalap Raju and his band. If Jatayu’s performance was beautiful, Aalap Raju and his band’s performance were so energetic with a touch of beauty. They were belting out Ghana songs like “Kaasu,Dudde, Money Money” and “Pettai Rap”. 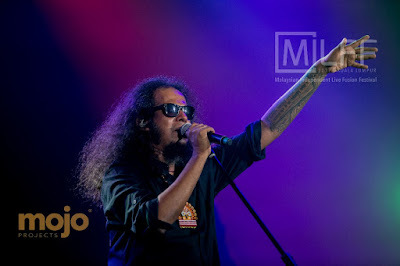 It was also great to see Stylomannavan sharing the stage with Aalap and his band. Aalap Raju surely won the crowd when he changed his voice for Pettai Rap and crowd almost lost it. He was amazing. The point they touched people’s heart was the segment when the replayed Illayaraja’s BGM. On screen they played scenes from film’s Illayaraja composed and they recreated the magic life on stage. “Sundari” from Thalapathy and “Thenpadi” from Nayagan were so beautiful it can move you to tears. Thank you Aalap Raju for instilling such beautiful memories in my mind. Next came on stage was the great Vijay Prakash. I loved his personality on stage and the way he was engaging with the crowd. 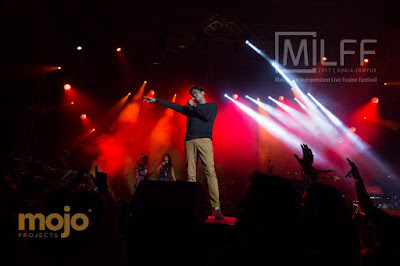 Throughout his gig he was connecting with the crowd and that drove the crowd even louder. Being a huge fan of “Hossana” I froze when he sang that song, but that wasn’t the highlight of the night. Shortly after that he sang “Om Shivam Om” from Naan Kaduval. My god, his performance for the song would literally send chills to your spine. Once again I had goosebumps and when he finished that song, the entire crowd stood up and gave him a standing ovation. Performance of the night hands down. and the crowd screams their lungs out. 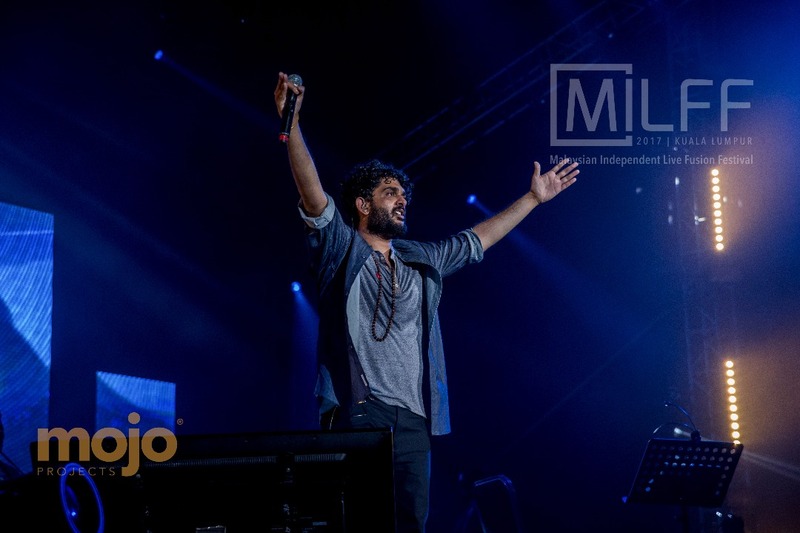 It is impossible to find a person who doesn’t like Sid Sriram and there is a strong reason why. The guy is blessed with an amazing voice and when he sings, you forget everything in your world. Apart from singing the songs he had sang in cinema like “Thali Pogathey”, “Maruvarthai” and “Adiye”, his take on “Nila Kaigirathu” was so beautiful. Once again it is another goosebump moment. The fans love him and he shows them his love with his voice. 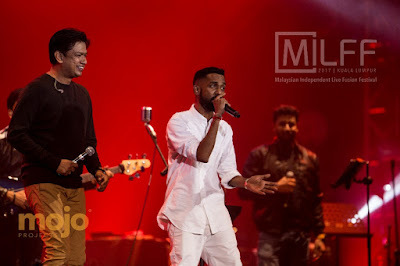 And then came on stage our local boy Balan Kashmir, previously shared the stage with Vijay Prakash and now performed together with Sid Sriram himself. Felt so proud seeing our home boy sharing the stage with two big artists. 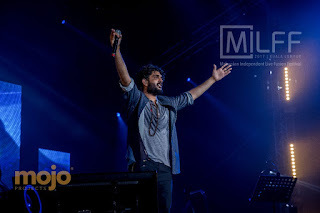 Sid Sriram too has a great personality on stage with the way he interacted with crowd. He made KWC Fashion Mall perhaps the most positive place in the world yesterday with his songs an engagement with crowd. I love the fact on how he paid tribute to a musician who recently lost his life and also credit his success to his mum. It was blissful moment watching this great man performing. With that, we came to the final gig of the night. It was almost 11 p.m. and they saved one of the best bands out there for the final performance. 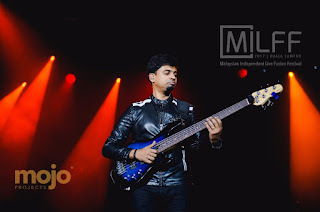 Before the show, if you were to ask music lovers who you are looking forward for the concert, apart from Sid Sriram and Vijay Prakash, the next name you will hear is AGAM. It is not surprising when Sid Sriram himself is a huge fan of AGAM. 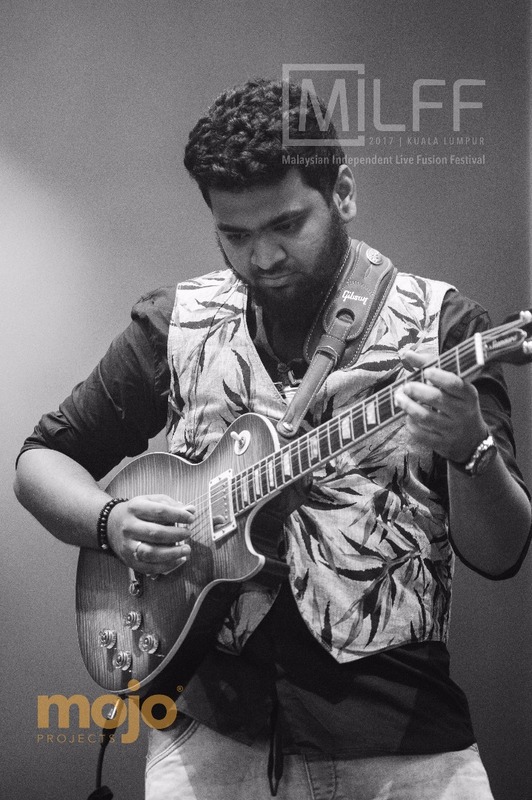 AGAM is a Carnatic Rock band and they are one of a kind. With every performance, the crowd grew louder and louder and I had such an amazing experience just sitting, closing my eyes and listening to them. Their performance on “Uyire” towards the end of the show was a huge highlight. Just like that 6 hours passed so fast and I couldn’t believe my first ever concert has come to an end. It was such an amazing and beautiful experience. Thank you Mojo Projects for organizing this event and I am already looking forward to MILFF 2018. I end my post today with the same quote that started this post.